Lobster Alive is a Restaurant on the beach on Carlisle Bay on the southern edge of Bridgetown famous for its Caribbean Spiny lobster straight from the big distribution tank. Seating is inside, outside on the patio or on the beach. The event is a lunch with jazz and steelpan combination. 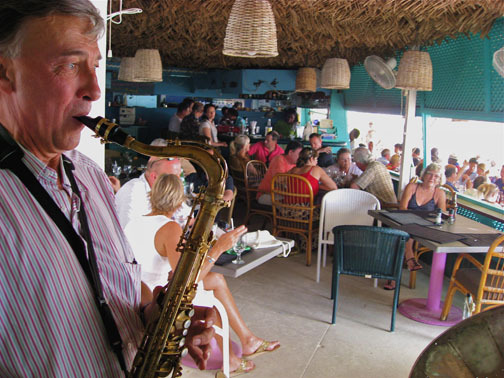 The jazz is provided from 1:00 pm to 4:00 pm by The Crustaceans Swing Sextet 6-piece swing band. Intermission showcases Steel Pan music by Trotty. Live Lobsters are now back in the Lobster Tank! !